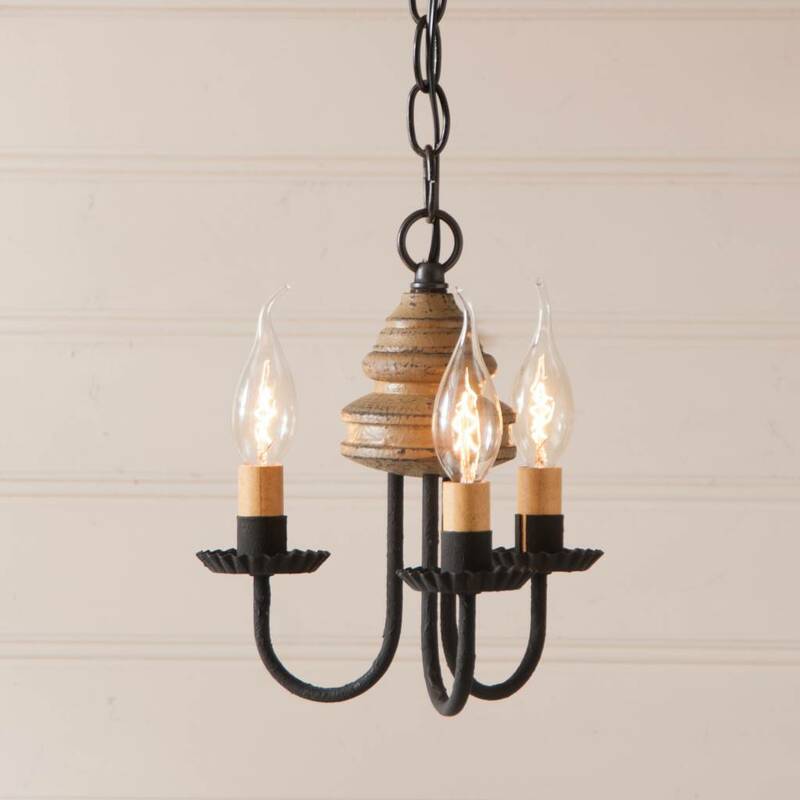 The Bellview Wood Chandelier is truly a simple and timeless lighting option. 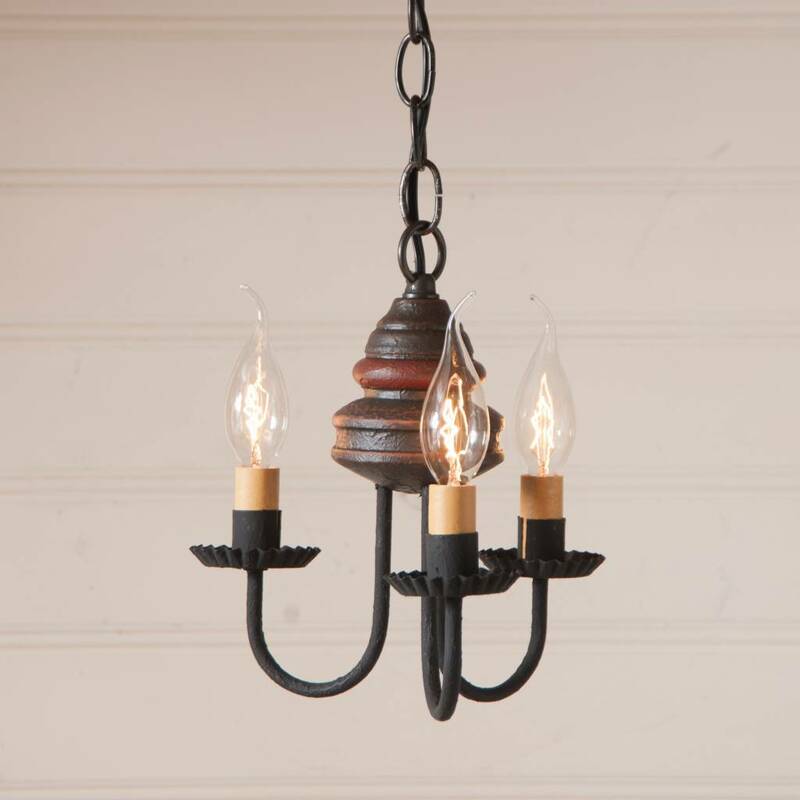 The warm, welcoming finish adds country elegance is sure to become a treasure in your country or colonial home. Available in 5 finishes. Made in USA. 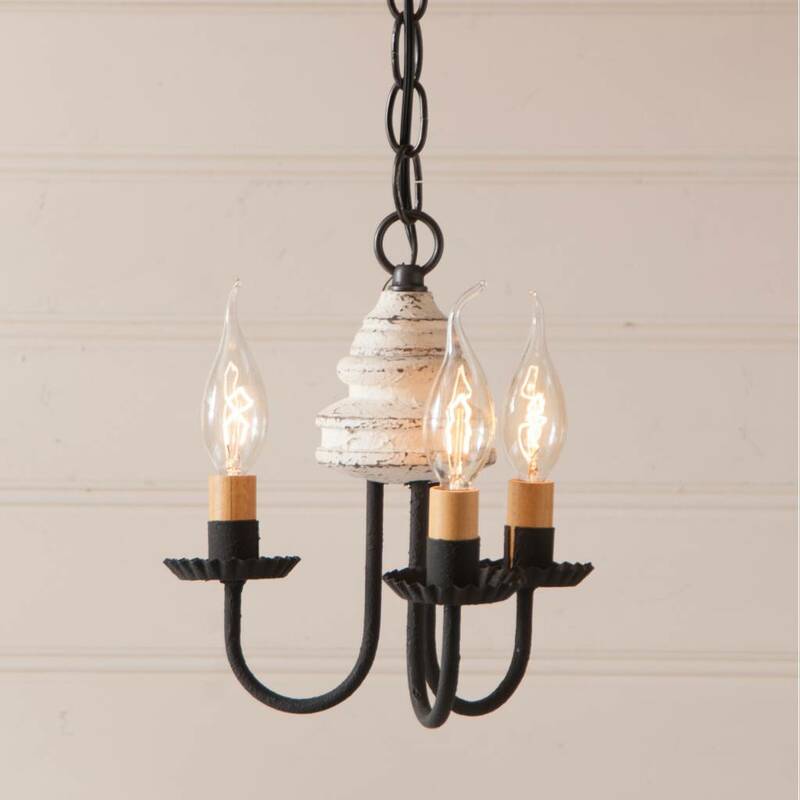 Direct wired with three candelabra sockets, 60 watts max. per arm. 7 feet of wire, 3 feet of chain, and a matching ceiling plate included. Additional chain may be ordered. Black textured arms with crimped pans. Body color is slightly distressed. Handcrafted in Pennsylvania. 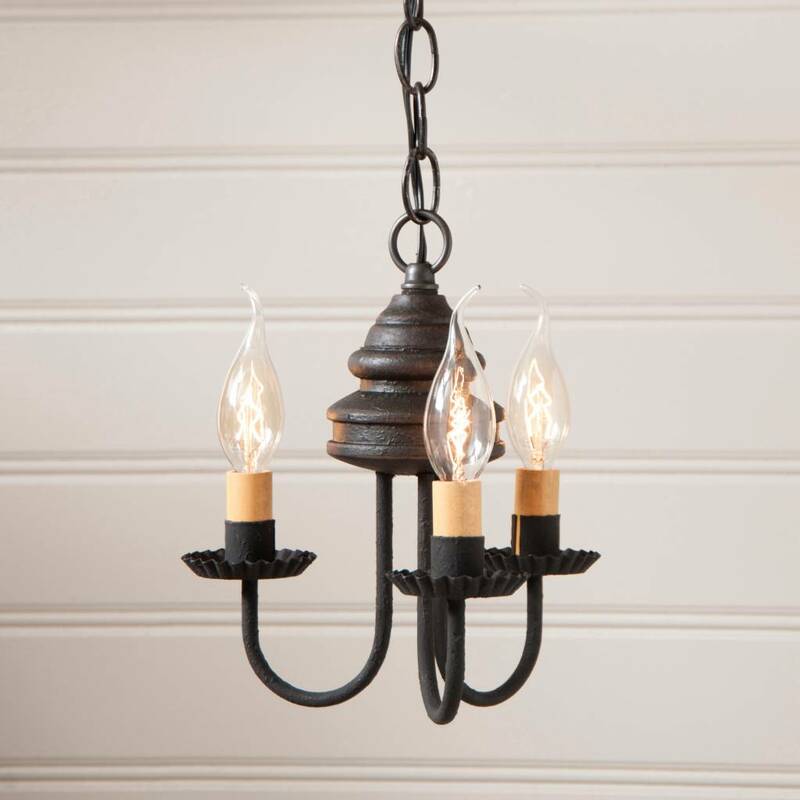 This light is UL listed and has a 5 year guarantee. 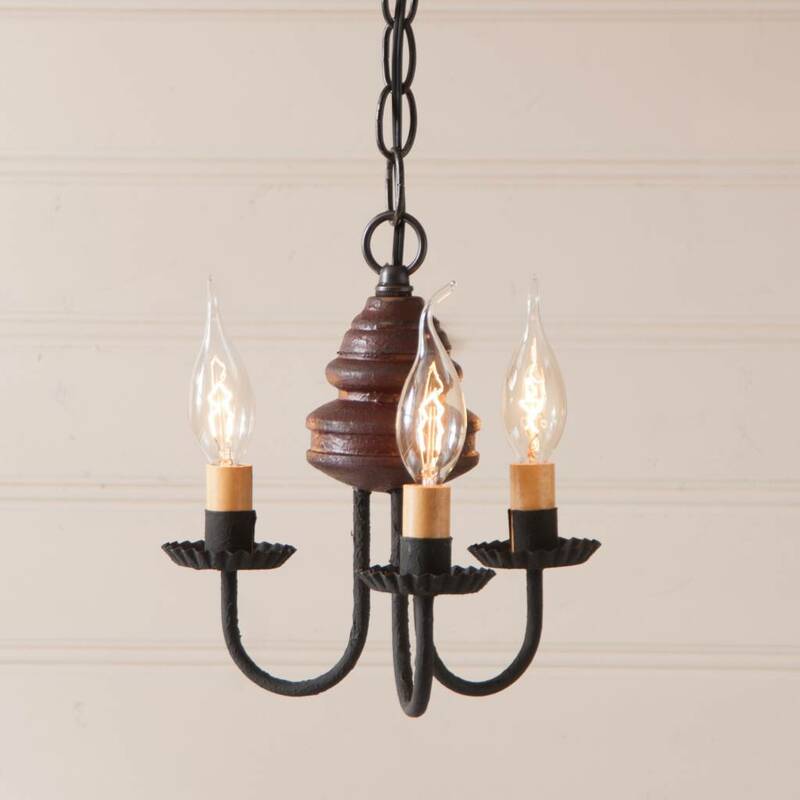 Thank you for choosing to shop with us and considering our Colonial Chandeliers & Ceiling Lights. Classically styled for a modern farmhouse, the Emmie Quilt has contrasting black & white, creating a statement for your bedroom. The heart of this quilt is an 8-point star set within a patchwork block of checks, microchecks & ticking stripes. The Grace Quilt and Bedding Collection is a fresh and eccentric combination with variously sized patterns & patches. 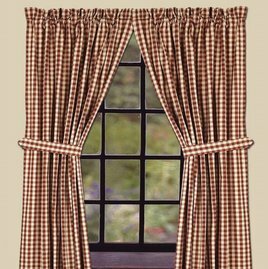 Elegant enlarged ticking stripes - a country farmhouse staple - are spaced among checks and windowpanes. Freshen up your bedroom today.